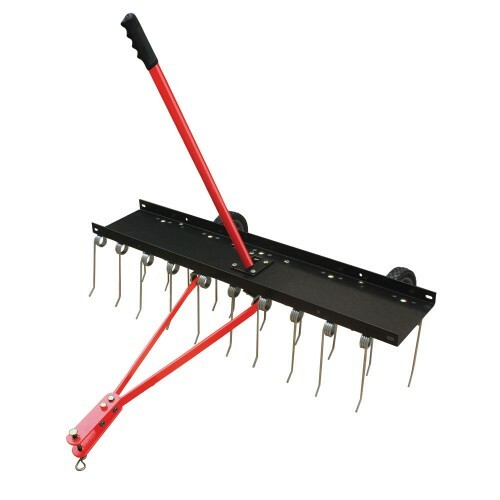 Help eliminate thatch and moss with this 40 inch towed dethatcher. Featuring 20 heat-treated spring loaded tines, Tondu's TST40 is a durable and robust towable dethatcher, constructed of steel and also benefiting from a single lever transport handle. It has a heavy duty tray that provides the weight needed for extra tine penetration, and 7" x 1.5" semi-pneumatic tyres ensure smooth control. Tilling Width: 101 cm / 40"